The World Series of Poker, abbreviated as WSOP, is a poker competition created by the late Lester Ben Binion in 1970. The poker tournament, which has received international acclaim from poker players and gamblers, is held annually in Las Vegas, Nevada, United States. The poker competition consists of a series of separate poker events, each with a winner. Each winner receives a WSOP bracelet and a cash prize whose amount is determined by the number of participants and buy-in amounts. The peak of the WOSP annual tournament is the no-limit Main Event, which has attracted thousands of participants in recent times. The poker player who wins the WSOP Main Event is crowned the World Champion of Poker, a highly coveted award considered the ultimate success any poker player can achieve. The series of poker events that led to the birth of WSOP was known as the Texas Gambling Reunion, an invite-only event organised by Tom Moore, a Texan, in 1969. The event, held at the city of Reno’s Holiday Hotel and Casino, was won by a fellow Texan, Crandell Addington. The following year, Ben Binion, a poker player and casino owner, grabbed the opportunity and organised the first WSOP tournament in his Binion’s Horseshoe casino in Las Vegas. Out of this event, the first World Champion of Poker was presented to Johnny Moss, who received no monetary award for the crown. Johnny won the tournament not by defeating the other participants but by being voted the best overall player by his peers. At that time, Binion’s Horseshoe casino did not even have a designated poker room, and the first WSOP tournament attracted only about thirty gamblers. In 1972, WSOP began to attract public attention. The previous year, Binion had already raised the entry fee to over 3,000 pounds in an attempt to raise the bar and gain prestige for what WSOP was going to become. 1972’s WSOP champion, Thomas Austin Preston Jr., helped publicise the event by holding nationwide public tours to celebrate his victory, making ordinary people and mainstream media take notice in the process. 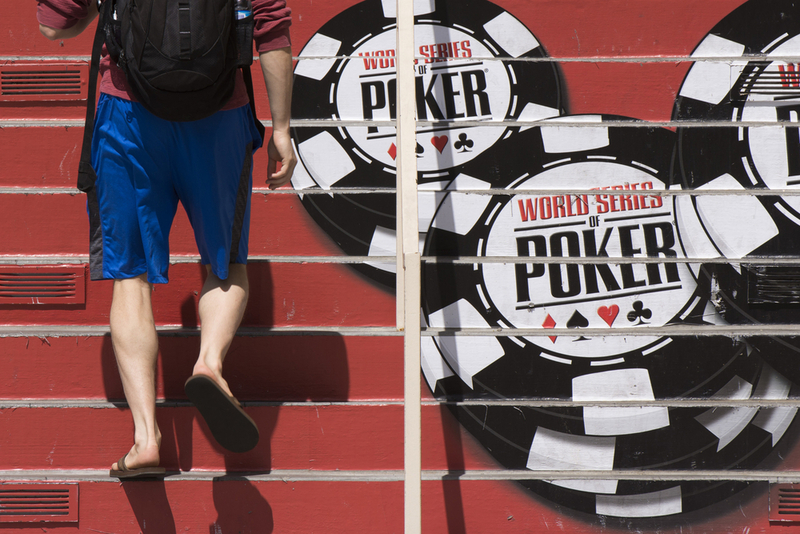 The following year, the World Series of Poker events were televised by CBS Sports for the first time. Since 1988 to date, the event has been broadcast by ESPN and The Discovery Channel, with ESP taking the lion’s share of the number of WOSP events it has broadcast. The spontaneous and unprecedented growth experienced by the World Series of Poker in the 1990’s came with many changes and challenges. More popularity meant more young poker players were going to register for the annual event and subsequently create the need for a more organised event with adequate rooms and tables. In 2004, Harrah’s Entertainment, the present day Caesars Entertainment, bought Binion’s Horseshoe casino and also acquired the rights to the two brands, including the World Series of Poker. Caesars Entertainment Corporation is among the largest gaming companies in the world, and this move was not a surprise to the poker or business community; beauty was finally merging with the beast. Fittingly, in 2005, Harrah’s Entertainment changed the home of WSOP to its casino, the Rio Las Vegas. With more gaming space, rooms and tables in the new casino, more tournaments were added. Surprisingly, the event has attracted thousands of poker players as well as spectators into Las Vegas, exceeding the numbers projected by business analysts and the new WOSP owners. By 2006, WOSP had 45 tournaments, with all winners receiving gold WOSP bracelets. WOSP is the richest sporting event with players winning over 100 million pounds in prize money. Today, the World Series of Poker has extended its reach beyond the city of Las Vegas, to over a dozen casinos throughout the United States. Critics have argued that the event cannot get any bigger, but with the new World Series of Poker Circuit, this is debatable. Big corporations and advertising agencies have also taken notice. Car manufacturers and beer companies are now interested in associating themselves with the success that is the modern WOSP.